Welcome to the best bar in Wishaw – cheers! The Commercial Bar is a brilliant place to catch up with friends and family, watch all the live football and last but not least – get the very best in live entertainment around! We’ve got Karaoke at the weekends, various competitions throughout the year and plenty of events for the whole family to enjoy. Not to mention our delicious food offers to keep you full. 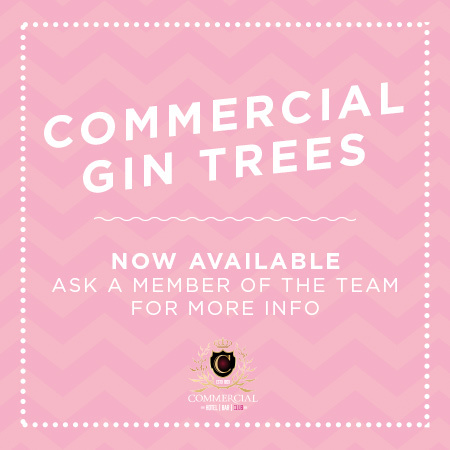 Enjoy our brand new Gin Tree at The Commercial! Book your very own Gin Tree Today!